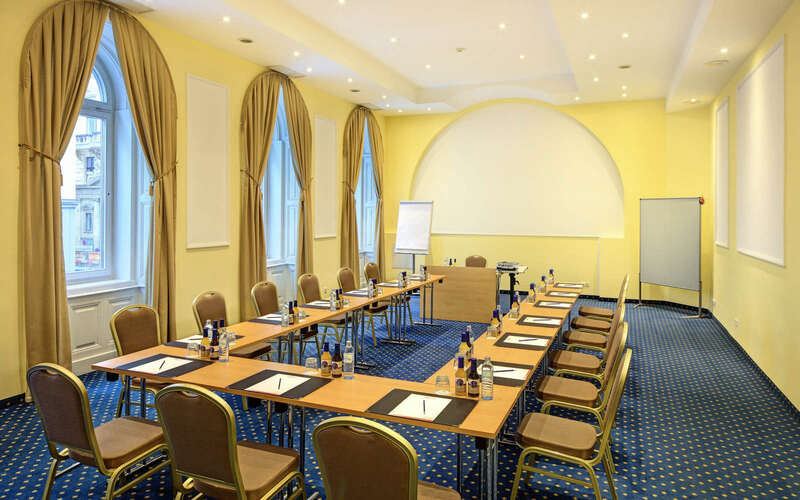 Seven spacious conference and event rooms for up to 100 people (150 people in Atrium) in Vienna’s city centre. 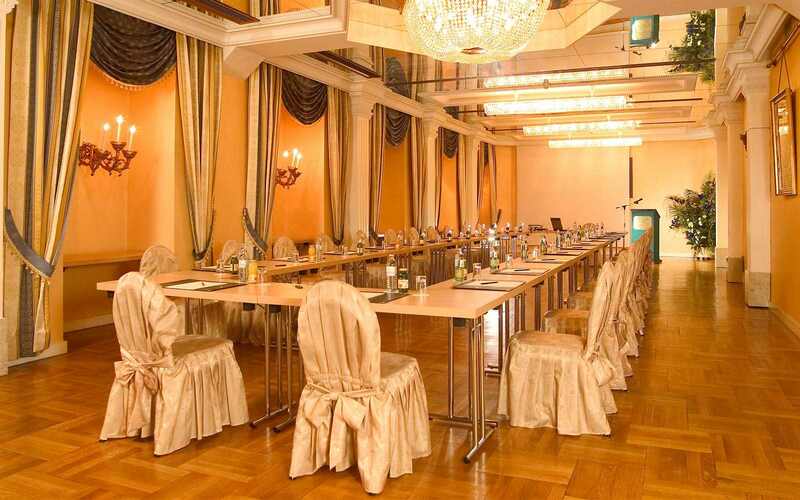 Seven spacious conference and event rooms for up to 150 people (150 people in Atrium) in Vienna’s city centre. 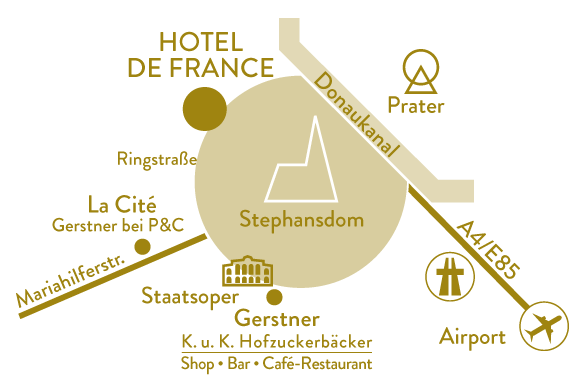 Hotel de France in the 1st district of Vienna offers 7 fully air conditioned conference and event rooms with a capacity for up to 150 people. All rooms are equipped with modern conference technology. The Hotel de France banquet department is happy to support your every event need at any time. Also please bear in mind that the Hotel de France conference packages cover all seminar and conference needs optimally.